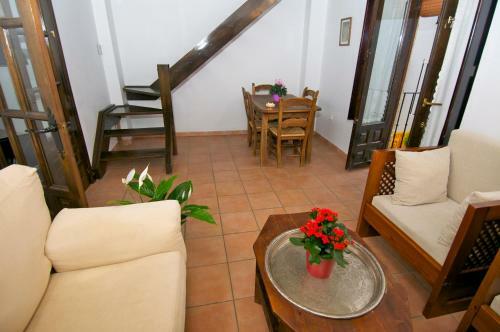 These charming apartments offer free Wi-Fi and a balcony, some with views of the Alhambra. This restored 16th-century building is set in Granada’s Albaicín district, a 10-minute walk from the Sacromonte Caves. This hotel is 733 metres from the Alhambra entrance, 659 metres from Plaza Nueva (the absolute centre of Granada), 1990 metres from the train station and 3141 metres from the bus station.